Lightbars - RL Performance Lighting, LLC. 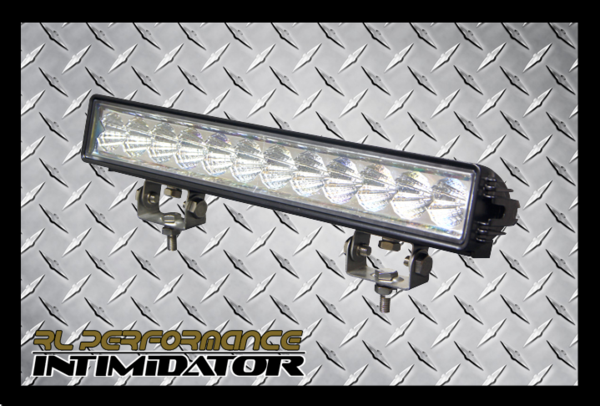 Our INTIMIDATOR series of Lightbars offers excellent quality coupled with pricing that is absolutely unmatched by our peers. 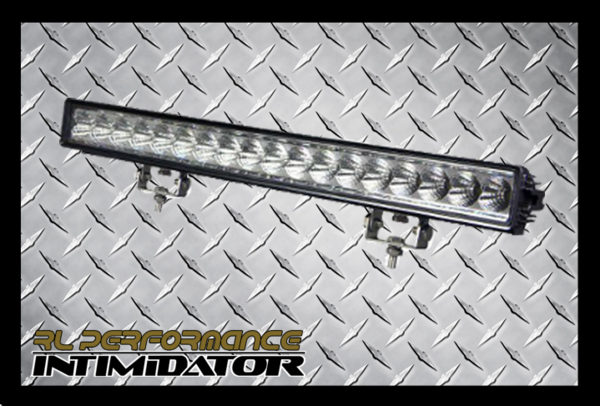 We offer multiple lengths, double and single row, curved and straight equipped with Genuine CREE, Epistar, and Phillips LED. 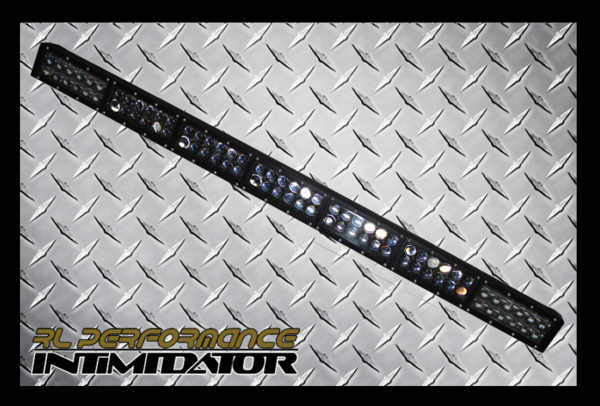 Our light bars feature unique styling with excellent fit and finish that will provide both great looks and quality. 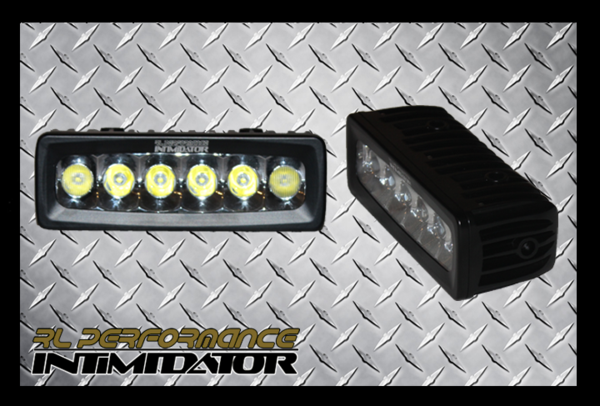 All RL Performance Lightbars come with a 14.7 year warranty against manufacturer's defects. Most Powerful 30" Single Row Slimline Bar on the Market! 30 Phillips 7watt chips totaling 210 watts and 13000 Lumens! 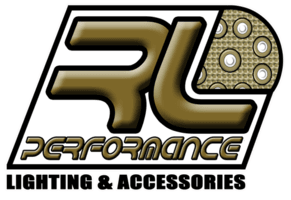 Most Powerful 50" Single Row Slimline Bar on the Market! 48 Phillips 7watt chips totaling 336 watts and 20200 Lumens! Most Powerful 42" Bar on the market! 84 Phillips 7watt chips totaling 588 watts and 35300 Lumens! Most Powerful 50" Bar on the Market! 96 Phillips 7watt chips totaling 672 watts and 40300 Lumens! 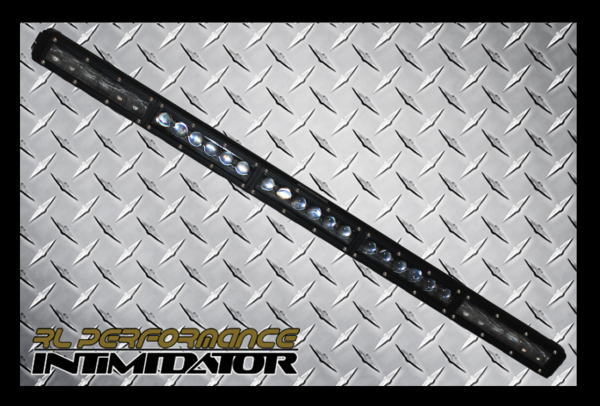 Most Powerful 40" Curved Bar on the Market! 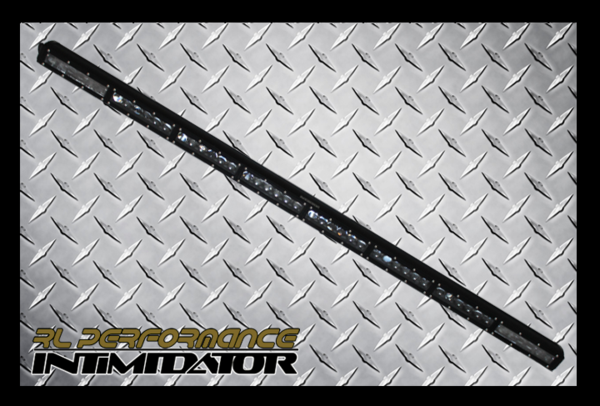 Most Powerful 52" Curved Bar on the Market!